Syracuse NY Neighborhood - This house is close to shopping, parks, and major highways. First Floor Features - The first floor offers a spacious formal living room and dining room with hardwoods, and a lovely kitchen complete with a breakfast nook. Second Floor Features - The second floor provides 3 bedrooms with hardwoods, and a full bath. 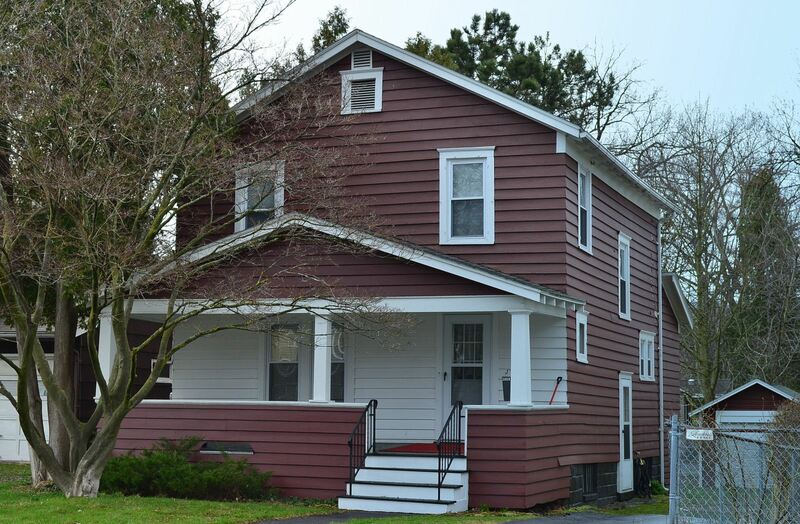 Exterior - This Charming 3 Bedroom Colonial features a front porch, a large backyard, and a one car garage.